Demo version resets a 'Demo12345' password only. This demo version makes no changes to other passwords. 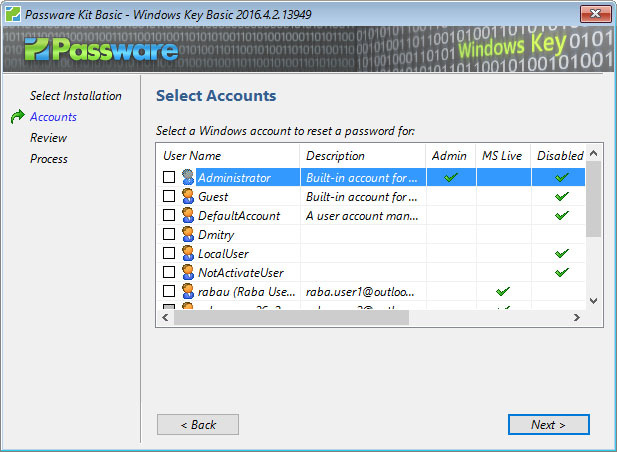 All other features of Windows Key Basic are included.